If you want to make your co-workers happy, make muffins, bring them to work, share. Specifically, these Strawberry Muffins. 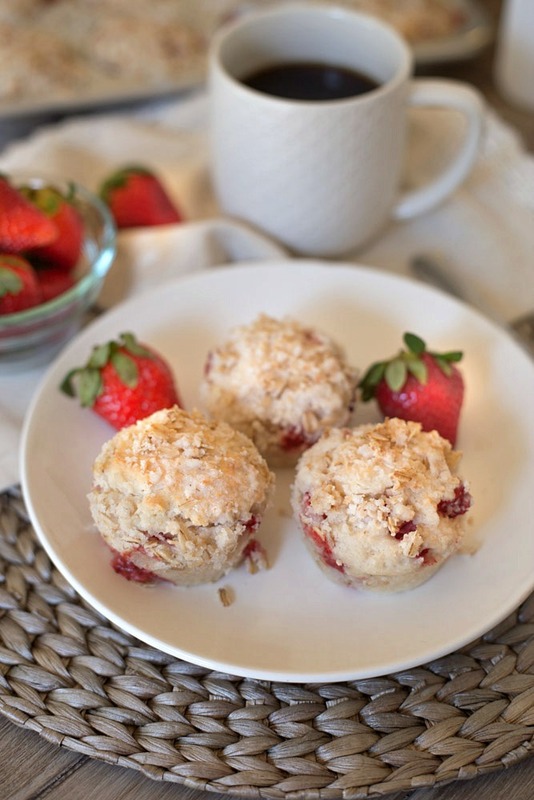 These no butter muffins are made with fresh, juicy strawberries, coconut oil and plain Greek yogurt. 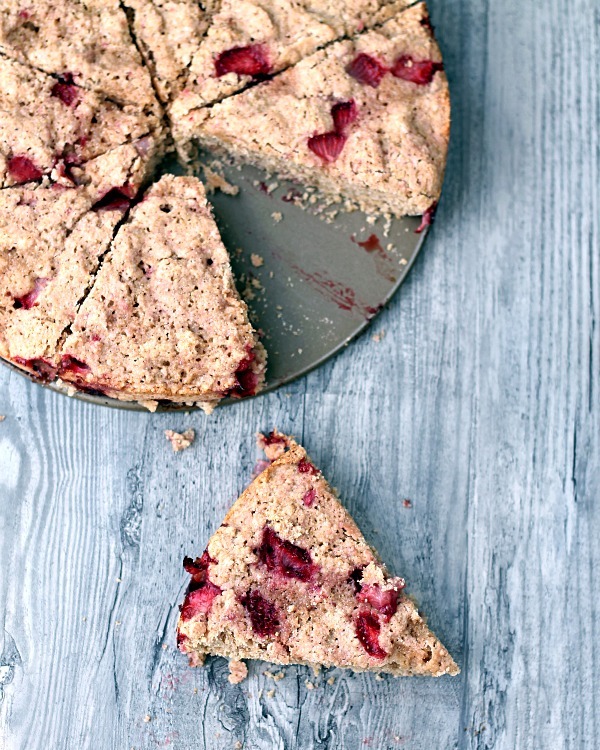 The crumb topping is made with oats, coconut oil, unsweetened coconut and a little sugar. They’re a distant cousin of these Raspberry Lemon Muffins, which were only one of the biggest things to hit this blog in 2013. 2013 REPRESENT! I made these strawberry muffins for breakfast a couple of weeks ago. They were an instant hit. I darn near ate the entire batch in one sitting. But I controlled myself and ate only two…and then two the next day and then one the day after that. Ken did too. Then I took the rest to work and everyone was like these are like the best thing ever. One lady told me that I needed to open my own cafe. I said I didn’t know about that but I would keep on bringing in goodies for her and the rest of my co-workers. So do you mind if I share something with you? Lately I’ve been feeling a little meh. Meh meaning I don’t feel like doing anything at all. No blogging. No real job. No cooking. It seems to come and go in cycles. Oddly enough, I’ve just recently realized that it comes in cycles, the mehy-ness. And I know that it is just a phase, just a part of the cycle. But although I know this, I can’t seem to snap myself out of it. But, I push through and continue to move on with the things I have to do on a daily basis, like work, blog, eat and exercise. Do you ever feel like that? That totally didn’t have anything to do with strawberry muffins but I felt like putting it out there, to get it off my mind. Hope you don’t mind. 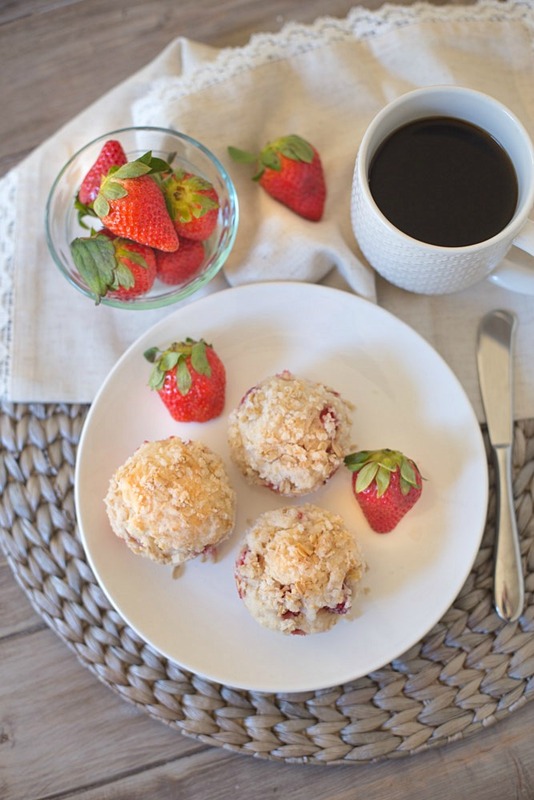 To thank you for listening (er reading), I’ll share one of these strawberry muffins and a cup of coffee with you. So cheers to muffins, coffee and it being Thursday, just one short day away from the weekend. You won't find any butter in these soft and flavorful strawberry muffins that are made with Greek Yogurt and Coconut Oil! Preheat your oven to 375 degrees. Lightly spray a 12 cup* muffin pan with cooking spray. Wipe away excess cooking spray with a paper towel and then lightly dust the muffin pan with flour. In a large mixing bowl, whisk together 1¾ C flour, ⅓ C granulated sugar, the baking powder and the salt. Make a welt in the center and add the coconut milk, coconut oil and beaten egg. Stir to combine and then add the Greek yogurt and mix until incorporated. The mixture will be very thick but that's ok. Fold in the chopped strawberries. Make the topping. Whisk together ¼ C flour, ¼ C oats, the shredded coconut, ¼ C granulated sugar. Cut in the coconut oil until crumbly. You can use a pastry blender or your fingers to do this, just as you would with cold butter. Scoop the batter into the prepared muffin pan, filling each cup ¾ full. The batter is very thick so I recommend using a cookie scoop to add the batter to the pan. Top the batter of each muffin with about 1 tbsp of the topping. I didn't measure the topping used for each muffin, I just eyeballed it and went with what looked best. Bake at 375 for 20 minutes or until a toothpick inserted into the center comes out mostly clean. There may be some crumbles but that's ok. Cool on a wire rack for 15 or so minutes before serving. This recipe will make 14 muffins. You can use 2 muffin pan to do this, you can reuse the pan you used for the initial batch or you can do what I did - make a giant scone with the remaining batter. To make scone, shape into a scone shape, place on a round cake pan and bake in the oven with the muffins. These muffins sound absolutely delicious! I have everything in my house for these! My kids love muffins and strawberries, so these will be a hit! I absolutely love using coconut oil and Greek yogurt in my muffins!! These look great! I go through it, too. All of this past December was like that for me. I’d literally get my kids ready for the day and then get back in bed because I just have no motivation to do anything. Maybe it’s the weather? These look delicious though! I love the coconut topping! I sort of miss the days of being able to bring in my blog food to share with coworkers, not only did it keep me from eating it all, but I love sharing food with people! 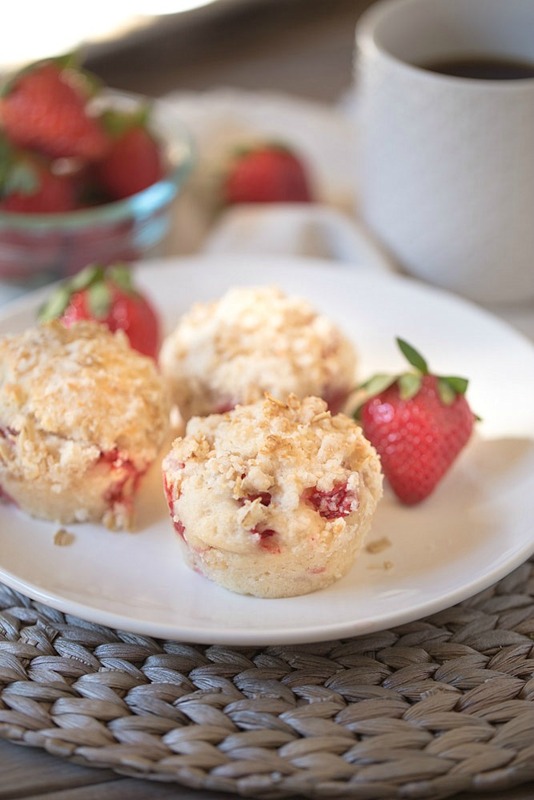 I love strawberry muffins this time of year and these healthy ones you made look delicious! These look so moist. Yum, I’d love to have one of them right now! I totally know what you are going through, some times you just feel like you are going through the motions. I bet you’ll turn around here soon! These muffins are glorious! I love the coconut oil and the shredded coconut! hi, so sorry you are feeling meh, i have felt that way the last couple of months, must be a sign that spring needs to come sooner than later. thanks for a yummy taste of spring, the muffins look amazing ! I’ll share one of these with you today ‘virtually’, Julie! Hopefully you’re feeling slightly less ‘meh’ today, as it’s Friday and all. I do feel like this sometimes – I think it’s normal and yes, thank goodness it only comes in cycles! Love the muffins … I once made something similar with ricotta and they were delicious – love the crumb topping you’ve added, too! I wish I was starting my morning with a couple of these! These look great! I have all the ingredients except the shredded coconut – might need to make a trip to the store. I assume these are mini-muffins? These strawberry muffins look perfect, Julie! I love the crumbly topping. 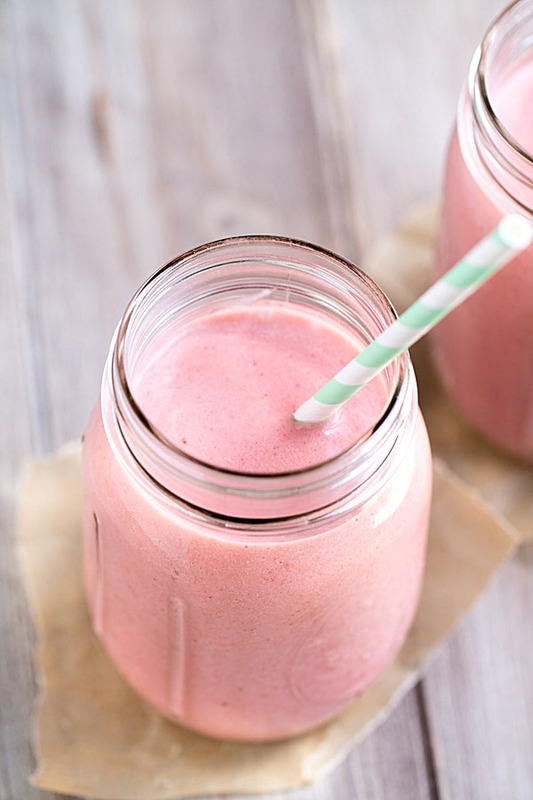 And such a great idea to make this with coconut oil! Love these muffins! They are freakin gorgeous! I do like to make my co-workers happy and this is a TERRIFIC idea. I think I will just do that, because I happen to have the ingredients on hand. Cheery and delicious looking muffins! Thanks Gloria! Hope the Meh’s go away for you soon! Mine are finally going away. Yay! Coconut oil and Greek yogurt in muffins are absolutely stunning! And would be perfect if paired with a hot cup of coffee. These are amazing! Yummy! Thanks Maureen! We really enjoyed these muffins, as did my co-workers. I need to make another batch soon! Can regular milk be substituted for coconut milk? Thanks! Hello, I’ve never made them with regular milk so I cannot answer your question with certainty. I’ve used nut milks in place of dairy milk in other recipes with no issue so using dairy milk instead of nut milk may work. If you try it, please let me know if it works!